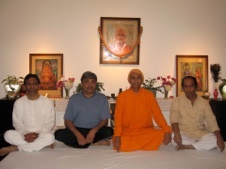 Kripalu Yoga and meditation is a physio-psycho-spiritual path. It is on the path of Shaktipat Kundalini Yoga and is practiced through a synthesis of gnana, bhakti, karma: hatha and raja yoga. It is based on astanga (eight-limbed) yoga and adheres to the authentic Hindu/Vedic tradition of Sanatan Dharma, a way/system of life that survives forever/everlasting/eternal spiritual truth, of human culture. Postures, walking-jogging, breathing, stretching-movements, relaxation-concentration, and general yogic disciplines. Postures, breathing-pranayama, moving/still meditation, mudras, sharing spiritual experiences. Additional/private sessions are available @ $15/hr. 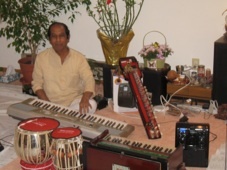 All sessions conducted by Thakor Patel, teacher/disciple of Master Guru Kripalu (Swami Shri Kripalvanandji Maharaj). In addition to the programs above, special planned programs for invited guests will be announced (lectures, seminars, discourses, rituals, etc. ).